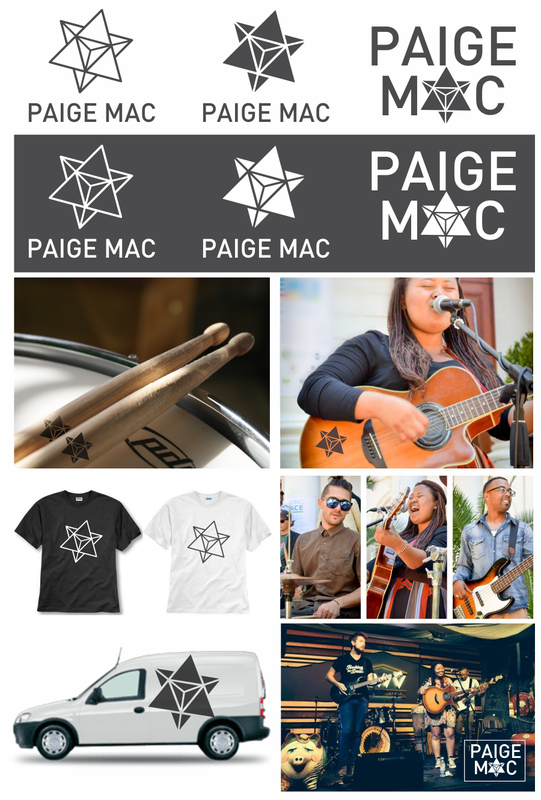 Paige Mac is a local accoustic folk group we've just wrapped up branding for. Lead singer, Paige (my first cousin by marriage, actually), wanted to use a star tetrahedron as their logo in a format that could be used across all their instruments, media and advertising. So we made a very simple one and you can see it below with it's various applications. We're working on some business cards and other stationery at the moment. If you haven't listened to Paige Mac, then hop along to their website or Facebook page and do your ears and soul a favour. You'll be glad you did!